QuadBoss, a leading manufacturer of high-quality ATV and UTV parts and accessories, is pleased to announce the addition of Justin Lasater to the team as Brand Specialist. Justin comes to QuadBoss from Yamaha Motor Corp., USA, where he played an integral part in developing and sourcing new products for their ATV and UTV lines. He will be doing the same for QuadBoss in his role as Brand Specialist, focused on continued brand growth. He brings to his role with QuadBoss 20 years of experience in the powersports industry ranging from service manager to regional parts and accessories manager. Founded in 2001, QuadBoss started out selling plows and tire sealant to motorsports dealers in the United States. 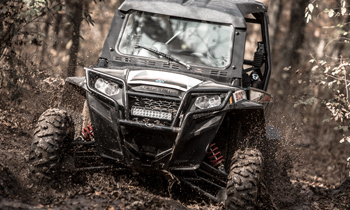 With the ever-increasing demand for ATV and UTV product, QuadBoss branched out and has become one of the leaders in high-quality replacement parts and innovative accessories, currently working with 1,200 dealers across the country. 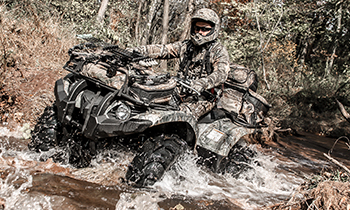 QuadBoss is known for keeping the ATV/UTV community running – from recreational rider to rancher, all-terrain addict to outdoorsman, work or play. QuadBoss offers a wide selection of tires, winches, trailers, replacement parts and more to make any ATV/UTV a workhorse or trail hound. For more information, visit QuadBoss online at Facebook, Twitter and Instagram. Featuring the most powerful portfolio of parts, accessories and apparel brands in powersports, Tucker Rocky/Biker's Choice is the go-to supplier for retailers across the nation. 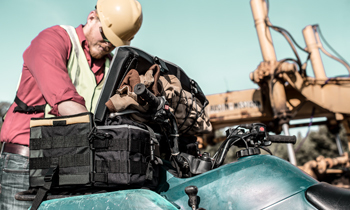 In addition to an unmatched product selection, Tucker Rocky/Biker's Choice is proud of its relentlessly customer-centric culture and unwavering pledge to on-time delivery. Because of its uncompromising commitment to continuous improvement, Tucker Rocky/Biker's Choice has been earning the trust of the best dealers in the industry for 50 years.